Chinese online news and video media service Phoenix New Media Limited filed its F-1 statement with the United States Securities and Exchange Commission in a bid to raise up to USD200 million in an initial public offering. The Internet company, which runs ifeng.com and is a subsidiary of Phoenix TV, plans its listing on the New York Stock Exchange and says in 2010 it derived 38.7% and 61.3% of its USD80.1 million total revenue from advertising and paid services, respectively. 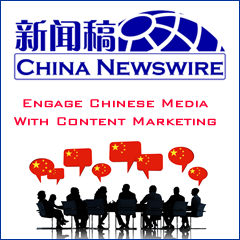 Phoenix's social media offerings compete online not only with stalwarts like Sina.com, NetEase.com, and Tom.com, but also with the Chinese government's own online video initiative CNTV. The Cayman Island-based company currently counts Morningside, Intel Capital, and Bertelsmann Asia as key investors. That Cayman company, along with other investors apparently including Excite.com co-founder Mark Wong-Van Haren, then has direct or indirect stakes in at least four companies registered in Hong Kong, British Virgin Islands, and the United States. Phoenix Satellite Television Information Limited, one of the BVI companies, then 100% directly owns a business entity in China named Fenghuang On-line (Beijing) Information Technology Company Limited. It appears that the main revenue-generating parts of the business in China have no equity interest by any foreign entity, such as the Hong Kong, BVI, or Cayman companies. Instead, Fenghuang has contractual arrangements with three China-owned businesses. These three Chinese-owned businesses are responsible for the revenue generation and operations of Phoenix in China, and Phoenix accounts for them as its consolidated affiliated entities. Those three Chinese entities are wholly-owned by four Chinese individuals who are former or current employees: Liu Yinxia, He Yansheng, Qiao Haiyan, and Gao Ximin.